Pete De Poe, with the help of the great Jim Hoffman, is going to let the reader take a step into a very unusual life. This incredible drummer is also a passionate man and a great storyteller. Pete remembers lots of details and stories that happened to him and the band. The book contains also texts from friends and musicians, the likes as Pat Vegas of course, but also Butch Rillera, Billy Cobham, Melica Bellamy and others. Over 250 pages for a very special life. Another “Must Have” for all the fans. A book you can order here. Today, Monday, July 10, 2017, I dyed my hair black. Old age is creeping up on me like a jaguar on a tortoise. As George Washington once said, “I’ve gone grey in my service, and now I’ve gone blind.” No, I’m not blind - yet! In spite of the hair dye or the weak eyes, I’m basically the same person I’ve always been; a straight shooter. There are certain things in my life that I do not want to talk about for various reasons including but not limited to, they’re too painful or too controversial. Sometimes my words will run afoul, but I will always speak the truth to you, the reader. I was born on Saturday, August 21, 1943, in Neah Bay, Washington, to Chief William Hauser De Poe, Sr. (December 14, 1912 to January 11, 1997) and Marie Josephine La France (August 17, 1913 to September 11, 1995). I am a tribal member of the Northern Cheyenne, Arapaho, Chippewa, Siletz, Rogue River, Tututni, Iroquois, with a little bit of French and German - to make it right. This makes me laugh. I’ve got seven tribes in me. My Indian name is Last Walking Bear. My mom was born in Turtle Mountain, North Dakota, and of French Chippewa descent. My Great, Great, Great Grandfather was Chief White Antelope. (See Berry’s succinct account, “Native History: Sand Creek Massacre Devastates Tribes…”) He was head of the famous Dog Soldiers. 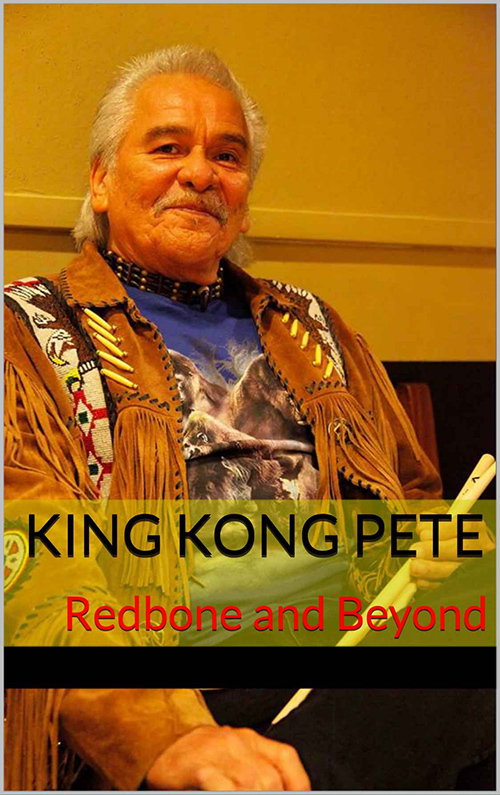 A new book devoted to the life of Redbone's first and incredible drummer Pete De Poe. Written by Jim Hoffman and Pete De Poe.